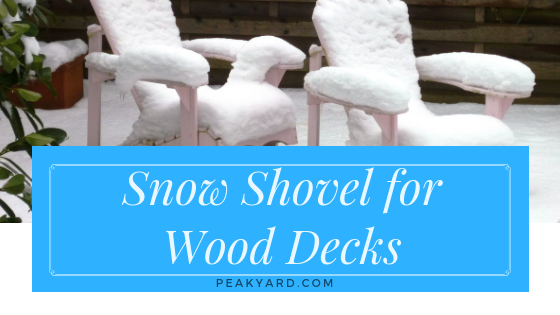 While wood decks often do a good job standing up to the elements and foot traffic, they can be damaged from using a snow shovel on them to clear snow. You should try to avoid using any type of shovel on a wood deck to deter potential damage. Keep in mind that if a deck is built to code, it can handle huge loads of snow. According to deckmagazine.com, many decks are built to handle more snow than a roof. Essentially, a bigger concern may be shoveling off your roof with a roof rake instead of worrying about deck snow. There are cases where some people may need to shovel their deck. For example, when snow blocks a door or when a walking path needs to be established. You should avoid shoveling with a metal shovel. This type of shovel can potentially gouge or scratch the surface. You should buy a shovel with a blade (scoop) made completely of a durable plastic. Be sure that the edge of the scoop where the shovel first hits the ground is also plastic. Many shovels are equipped with a steel edge that can possibly cause damage to your deck. An example of a shovel that you can consider using on a wood deck is shown below. The blade is made completely of plastic. Don’t use salt: It is best to err on the side of caution and not use deicing salts on your deck. Salts can be corrosive and may damage the deck hardware. 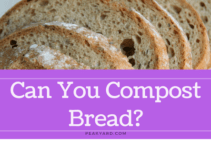 They may also potentially promote wood deterioration over time. Use a broom: A broom can be used when there is minimal snow accumulation. Be sure the broom bristles are soft so that they will not scratch the deck surface. Avoid sand: Sand tends to be a messy option if the deck is being walked on to enter the house. Additionally, sand has the potential to scratch wood surfaces. Clear the door: A large accumulation of snow can potentially block the door leading to the deck. In case of a emergency, this can possibly be a serious problem. Only shovel where needed: In many cases, it is not necessary to shovel the full deck but only a walking path or small area. You can avoid potential damage by limiting your shoveling.